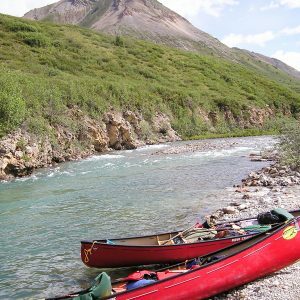 Our nine day tour down the Teslin and part of the Yukon River takes you through a landscape rich in history and wildlife. 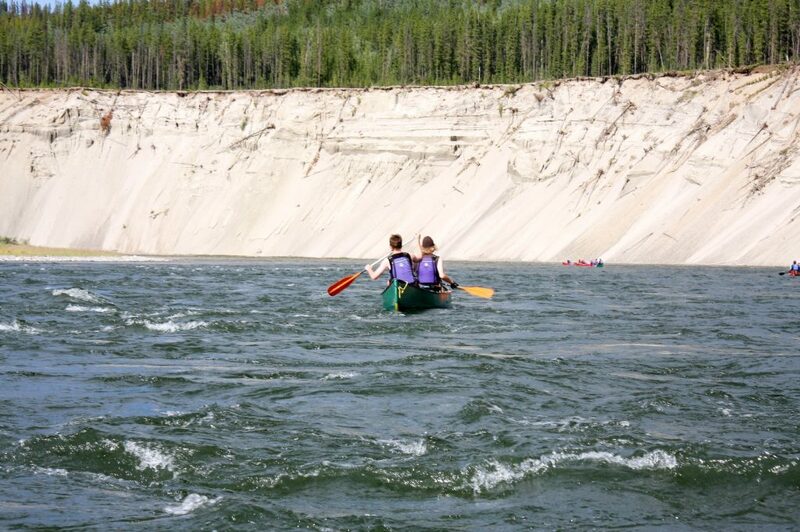 This trip is ideal for first-time paddlers looking for a less-travelled route than our classic Yukon River expedition. 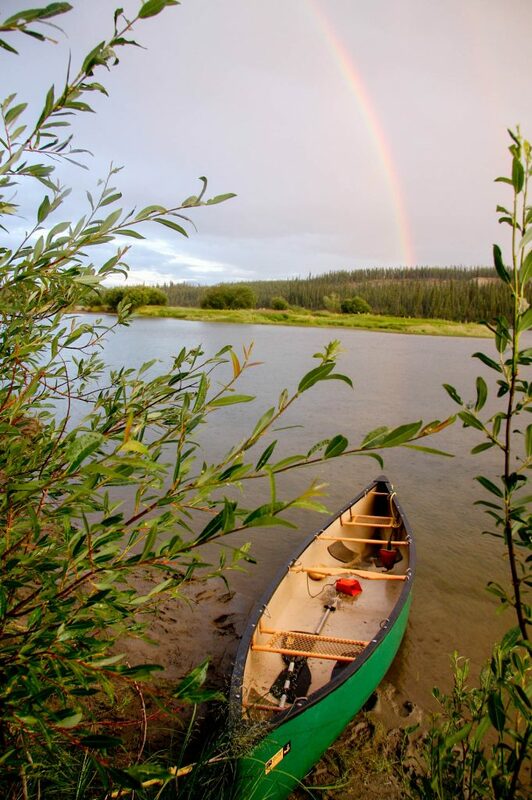 The Teslin River is part of the the homeland of the Teslin Tlingit First Nation, for whom the river is still an important source of fish and moose. 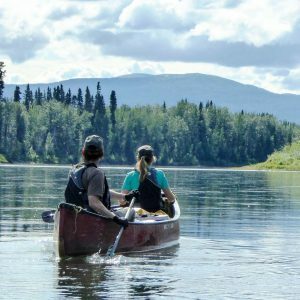 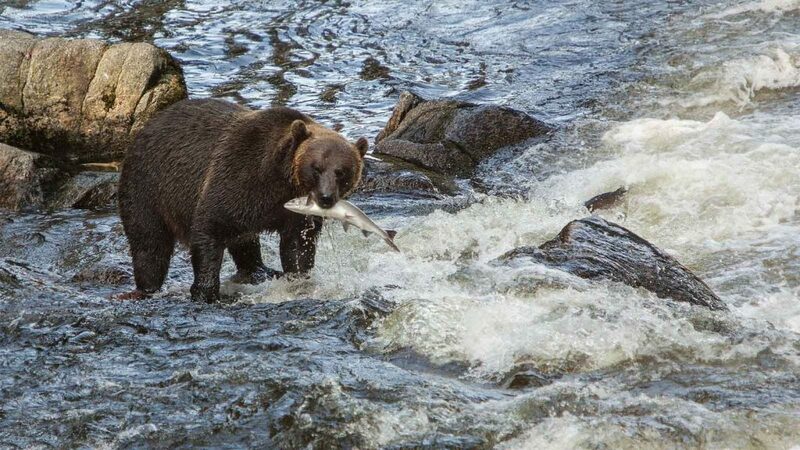 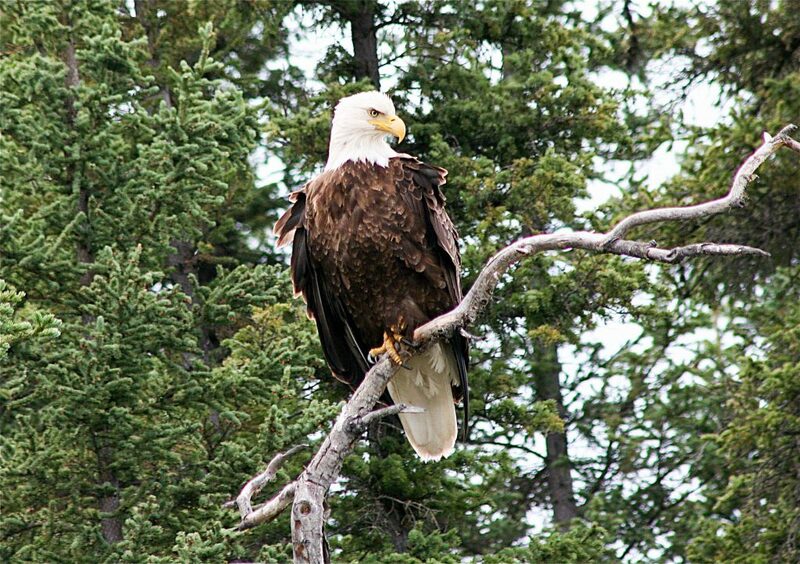 It’s an excellent place to spot moose, eagles, and black bears along the shoreline, and eddies offer excellent fishing for arctic grayling, northern pike and the occasional trout. 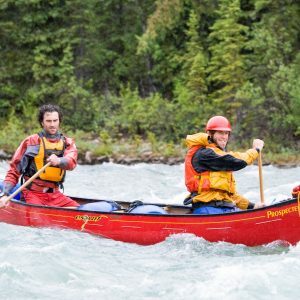 Enjoy comfortable camps in wild and scenic spots along the river, meals cooked on open fires, and the company of a small group of fellow travellers. 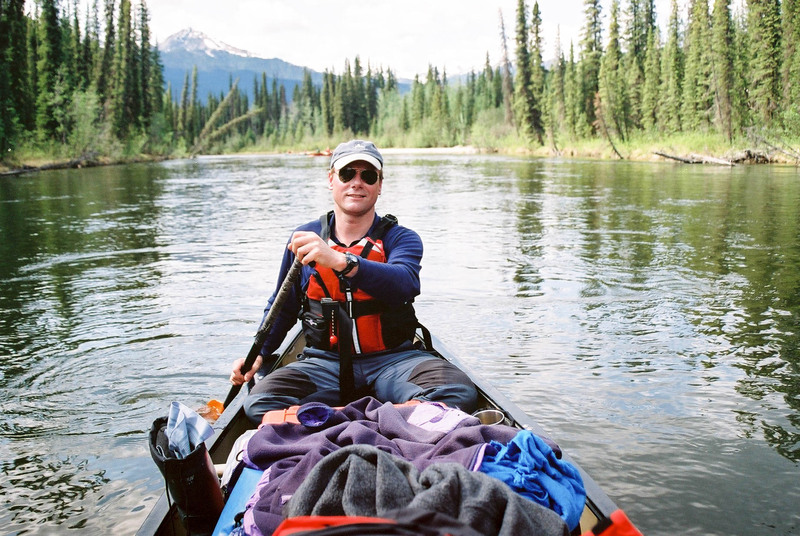 Our fun and professional guides will teach you all you need to know to paddle and camp. 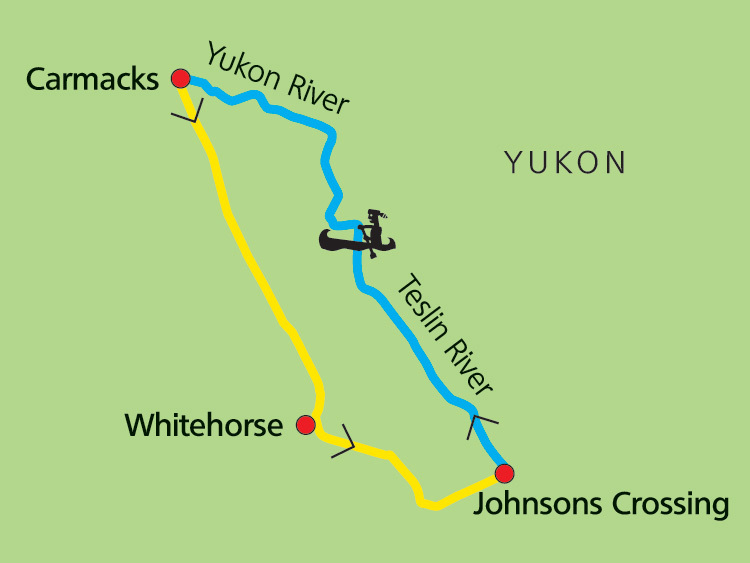 This tour is scheduled to connect with an exciting road trip through some of the most scenic highways and backroads of Yukon and Alaska. 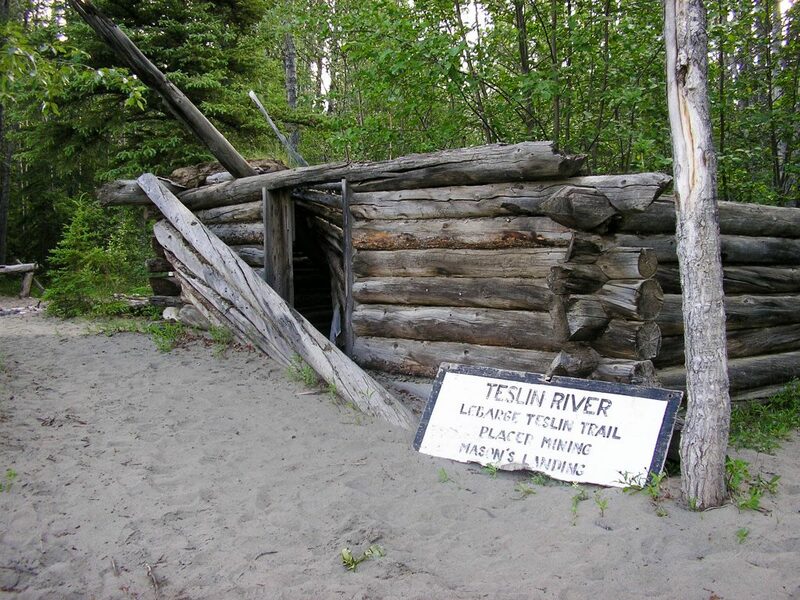 To learn more, check out our Gold Rush Tour. 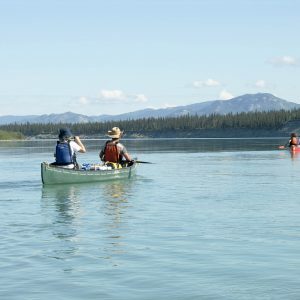 A background in camping and paddling is an asset but not necessary. 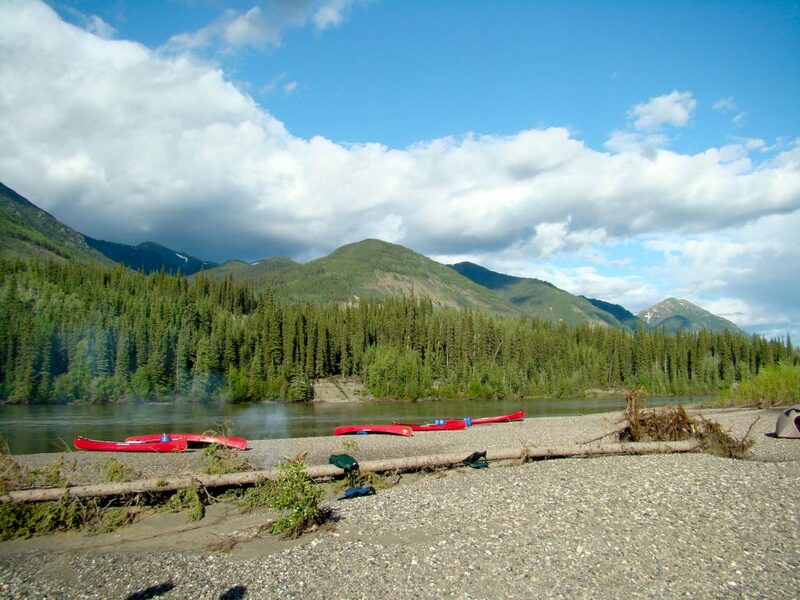 These programs are open to expert and novice paddlers alike. 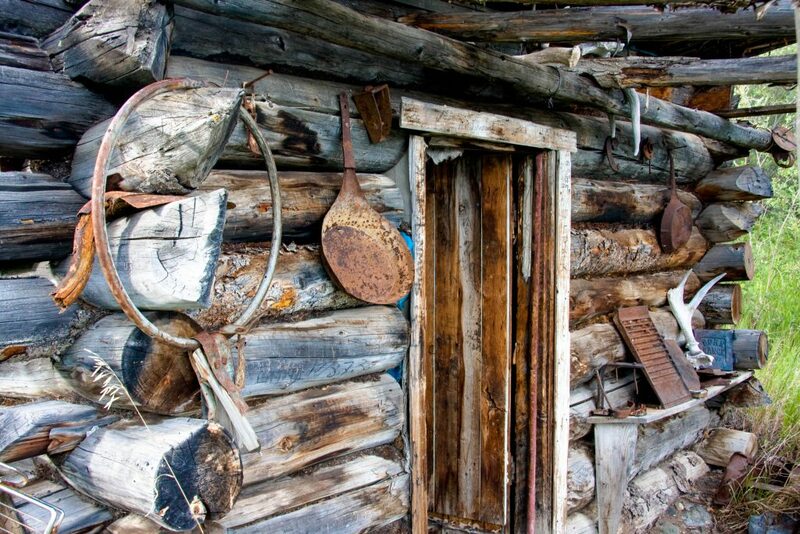 For booking the tour, please select the date, the quantity and the type of accommodation. 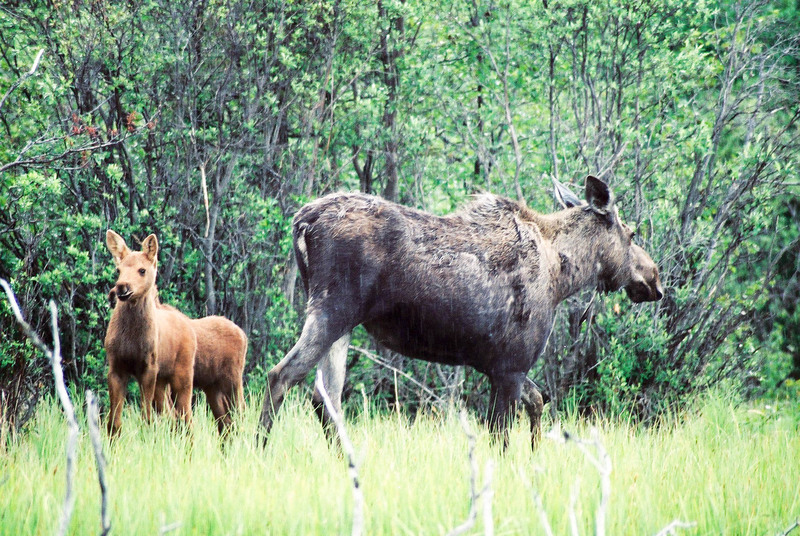 Please find more about our Child Policy here.